1978. A young 17-year old rookie named Frederick Burdette Spencer, nowadays better known as ‘’Fast Freddie’’ wins the U.S. National Road Racing Championship. 40 years and 3 GP world titles later he is still wearing the same helmet brand. In 1983, Spencer won his first 500cc World Championship at the age of 21, becoming the youngest racer ever to win the title. His epic battles with Kenny Roberts and Barry Sheene will be remembered as the absolute highlights of Grand Prix Racing. Freddie achieved all of this wearing an Arai helmet with his now iconic red, white and blue design. 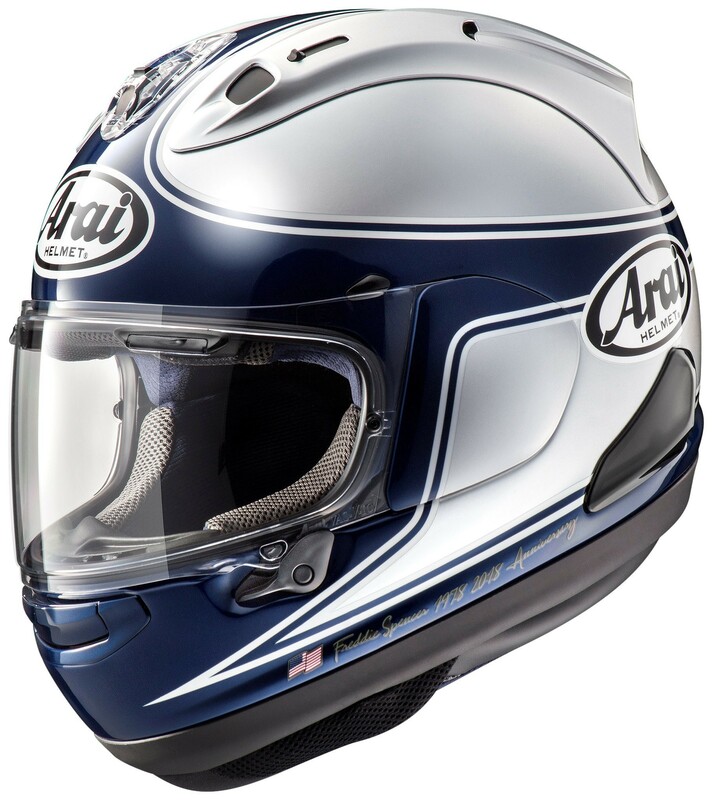 To celebrate the close partnership between Freddie Spencer and Arai, we introduce a 40th anniversary version of the Spencer design in two colour schemes. The RX-7V Spencer 40th Red is the modern version of the classic Spencer design. New are the gold and black striping and the new, yet familiar, lines of the design. 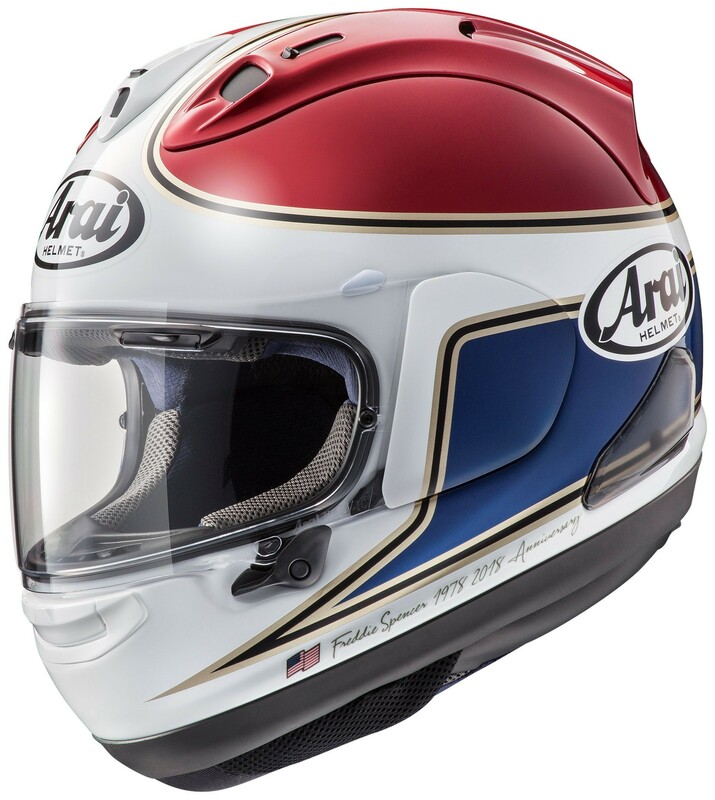 A special decal featuring the Stars and Stripes flag and the ‘’Freddie Spencer 1978-2018 Anniversary’’ text can be found at the chin piece. The RX-7V Spencer 40th Silver offers the same features and design, but is finished in dark blue and silver. 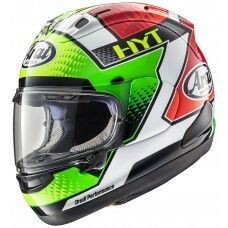 Arai UK race service will be at the first round of the BSB at Silverstone. 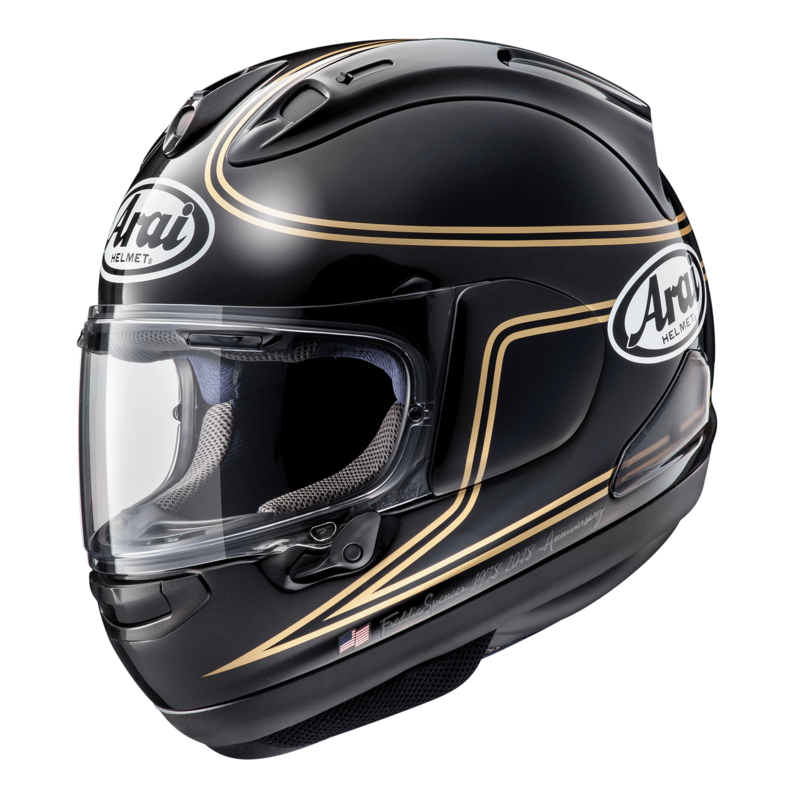 Arai Race Service will be at On Your Bike Motorcycles this on weekend offering a free custom fit, free basic service and basic repairs on your Arai helmet! Arai UK Race Service will be at Oulton Park for round 2 of the BSB. Arai UK Race Service will be Brands Hatch for the first of 2 visits for round 4 of the BSB. 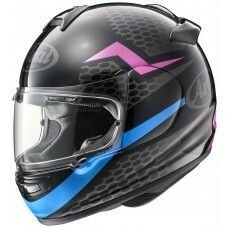 Arai UK Race Service will be at Snetterton for round 6 of the BSB. 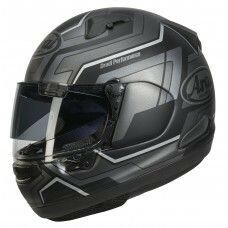 Arai UK race service will be at Thruxton for round 7 of the BSB. Arai UK Race Service will be at round 8 of the BSB which is held at Cadwell Park. Arai UK Race Service will be at Oulton Park for the second time this year for round 9 of the BSB. Arai UK Race Service will be at round 9 of the BSB, which will be at the iconic racing circuit of Assen. Arai UK Race Service will be at Donington Park for round 11 of the BSB. 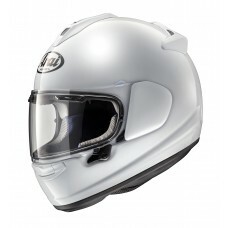 Arai UK Race Service will be at Brands hatch for the final round of the BSB. TO RECEIVE INFORMATION ON THE LATEST LAUNCHES, EVENTS, NEWS UPDATES AND COMPETITION GIVE-AWAYS.